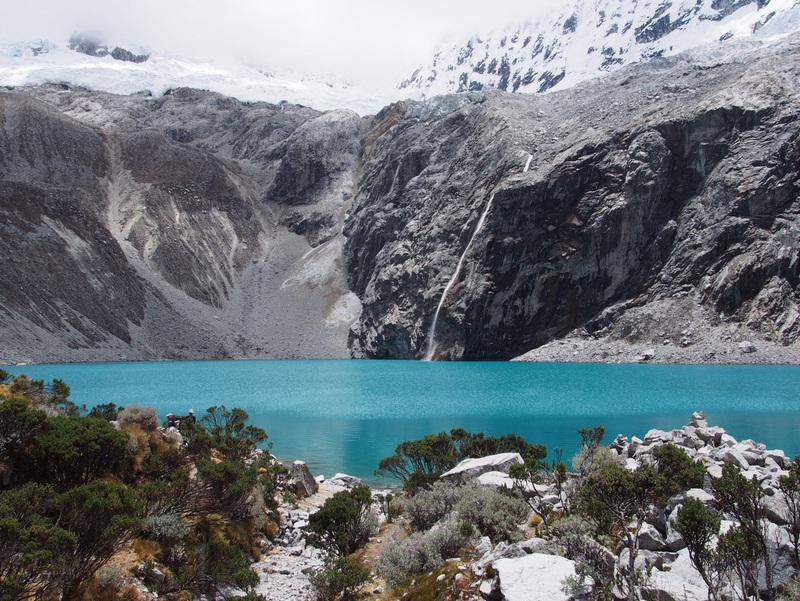 A glacier on every mountain top, turquoise lakes and beautiful rivers define this region and it seems unbelievable that anyone could visit Peru without coming here. Like most travellers, the first two times I visited Peru I didn’t venture north of Lima. What a mistake that was and I am so happy to have come back a third time. If mountains and hiking are not your thing, then perhaps a 3000 year old archaeological site would take your interest, with Chavin pyramid just a few hours drive away. I came here to hike the Santa Cruz route in Huascarán National Park and was not disappointed. Despite being the start of the wet season, we had three perfect days of sun with the mountain tops clear, providing uninterrupted views. The route can be done independently or on a tour and can be completed within three days. The Punta Union Pass, at 4740 metres, is the highest point and provides the most breathtaking views I have ever seen. After a day of hiking the pass, a small group of us took the three hour side trek to Laguna Arhuaycocha. I was beyond exhaustion but thanks to Israeli hiker Ori who refused to let me not reach the Laguna – I eventually made it and wow, what a reward. A huge glacier descended from the mountain to touch the turquoise lake. Truly stunning. Acclimatisation is crucial here. I joined friends from SKIP (NGO where I was volunteering) to hike to Laguna 69. It is a five hour return hike with a top altitude of 4200 metres. We hiked in rain, received perfect sunshine when we arrived at the lake and had hail on the way back down. One person in our group really struggled with the altitude after spending months at sea level. The only cure was to head down the mountain. But before doing so fellow Skipper June and I went for a swim in the glacier-fed lake. It may be no surprised to know that it was freezing. I wrote a story about the disappearing glaciers for ABC News and also visited Pastoruri glacier which is a stunning flow of ice that ends in a glacier lake complete with floating ice, this time I kept my clothes on. At 5200m, it is a breath sapping 40 minute hike from the car park. Twenty years ago the glacier reached the car park. Within 50 years, sadly, all of Peru’s 2000 glaciers will be gone. 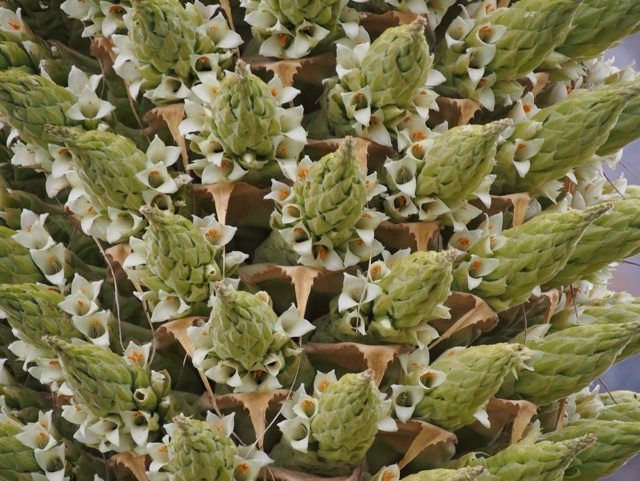 Along the way to the glacier, we stopped to see the beautiful flowering, Puya Raymondi plant, a native to the high altitude regions of Peru. It flowers just once in its life before dying and one had just started to flower before we visited. The tour companies also became very excited about some lakes with sparkling water that looked like a muddy swamp. Agencies: I recommend booking the Laguna 69 day tour through Akilpo Hostel as their English speaking guides and breakfast were brilliant. Only a handful of agencies actually run the trekking tours, most “agencies” are selling another company’s product. Recommended operators include: Quetuandes, Inkaland Treks, Eco Ice Peru, and Akilpo. I sadly went with Ganesa which receives its clients from other agencies. Our horse nearly died due to exhaustion from having too much weight (and then mysteriously disappeared) and the donkeys had open wounds from being over weighted and overworked. When we complained, the guides and company did not care. Our guides were The equipment ranged from being new to so old it was useless. Prices: Santa Cruz starts from S.320 for three/four days. The eight day Whitewash trek starts from S.600 and is rated as one of the world’s best treks. Plus your park entrance fee of S.65. Food: Huaraz has an abundance of great restaurants. I ate out nearly every night here and can recommend: Cafe Andino (amazing breakfast and prawn curry, good wifi), Creperie Patrick (amazing Lama Burger and wine), La Brasa Roja , El Fogon and the cevicheria two streets over from Akilpo Hostel – the chef was a national finalist. Hostels: The guys at Akilpo Hostel could not be more helpful. This hostel is clean, centrally located and the owners cannot do enough to help organise tours independently or guided. Churup Guesthouse comes recommended when it doesn’t have construction works (taking place in November 15). Caroline Lodging has dorms including breakfast for S.15. Noise travels far here. The owner is fabulous but the son demanded I walk a kilometre into the centre to an ATM in order to pay S.3 for towel rental after returning from a four day trek. He refused to put it on my room tab.